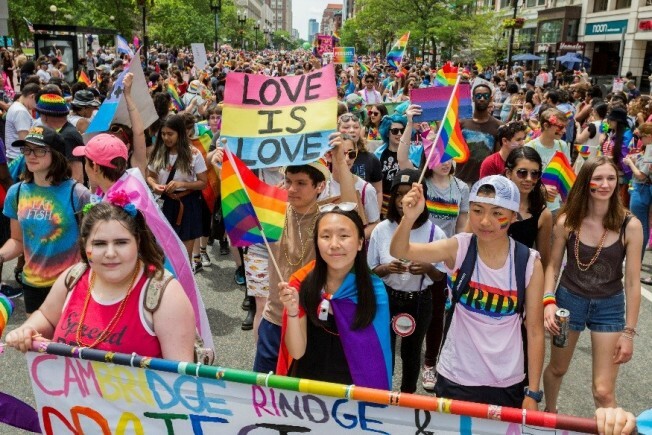 Boston Pride announced this week that nominations for the 2019 Pride Theme and Parade Marshals are now open. Members of the community are invited to submit themes and parade marshal candidates online by the end of Thursday, Jan. 10, 2019. Nominations for both can be made online at the Boston Pride website www.bostonpride.org/theme and www.bostonpride.org/marshals. After nominations have been made and pared down to the top choices, the public will be invited to vote for their top choices, to be announced in February. The past few years have featured themes including “Rainbow Resistance” (2018), “Stronger Together” (2017) and “Solidarity Through Pride” (2016). The themes are a reflection of the message that Boston Pride and the LGBTQ community want to communicate during the year and in particular, during Pride Week. The 2018 Parade Marshals included Grand Marshal Freedom for All Massachusetts, Parade Marshal Jo Trigilio, and Honorary Parade Marshals awarded posthumously to the late Gordon Burns and Edie Windsor.